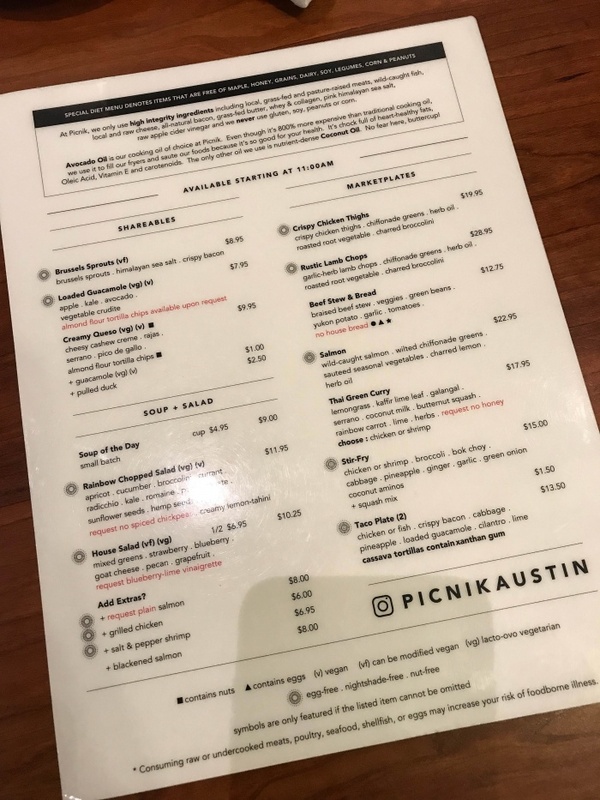 Austin, Texas is known as one of the best “foodie” cities in America, so I was very excited to experience it for myself when I visited a few weeks ago for Paleo f(x). Austin is known for its food trucks and barbecue, but there really are plenty of options for every type of eater. 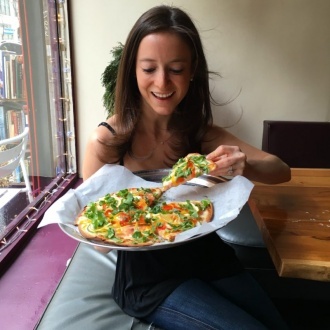 I was on the lookout for paleo / gluten-free / dairy-free food, but the restaurants I visited had choices for everyone. Whenever I travel, I do a lot of research beforehand to try to find all of the best healthy restaurants – I don’t like to go into it blind. I had a pretty long list of potential restaurants to visit, and I didn’t get to them all, but I wanted to recap the places I did get to experience! If you’re traveling to Austin, maybe this will help you narrow down your own picks. I do have to be completely honest about something, as a critical “foodie.” I thought the food in Austin was good, but I do think that food in Los Angeles, New York, and Portland is much better. I know many people might disagree with me, but that’s just my personal opinion based on where I went and the type of food I like! When I travel, there are usually a few places I can’t wait to eat at, but in Austin there was nowhere in particular I was really dying to try. I ended up cooking a few more meals in my Airbnb than I had planned for that reason. That being said, nowhere I ate was bad – not at all! It was all good, just not overly exciting. 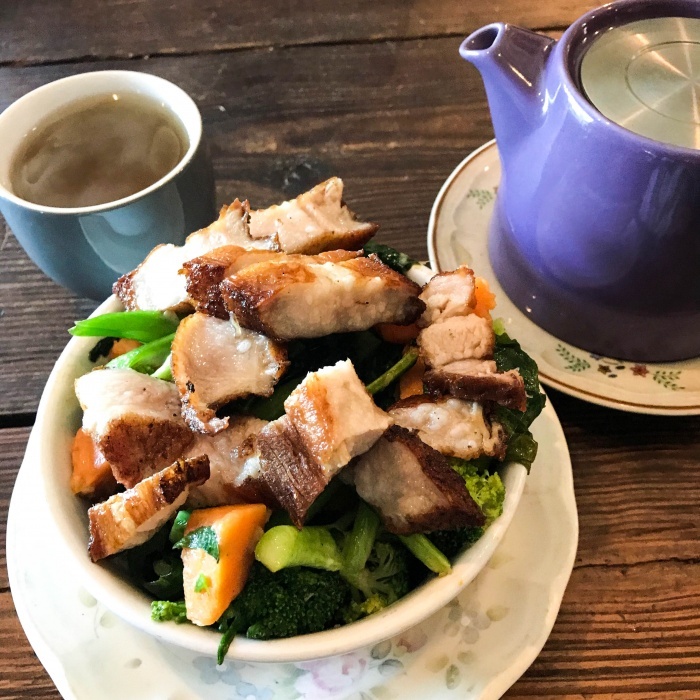 However, I think I also am a bit biased because I’m lucky to live in L.A. where there is an abundance of delicious, healthy options at my fingertips. Erewhon has really screwed up my standards. Also, it’s totally possible that I missed out on better spots – I’m not a local, so I was just going off of my own research. If you have better recs, please comment and let us all know! 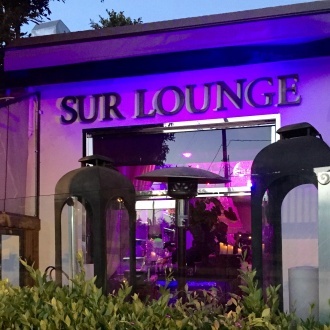 While I do personally prefer the food in L.A. to that in Austin, there are definitely a ton of great options and I think any foodie would have a great time! 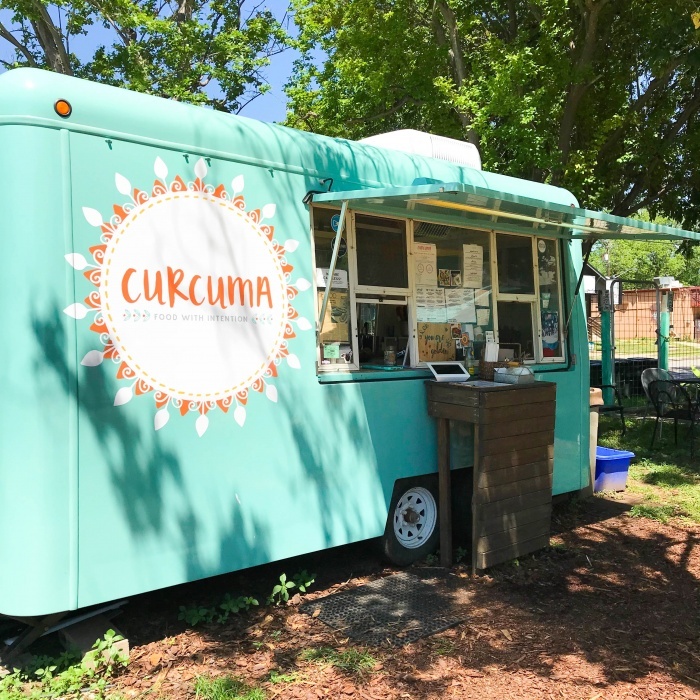 The first and only food truck I visited while in Austin was Curcuma, which is a plant-based truck with an excellent aesthetic. 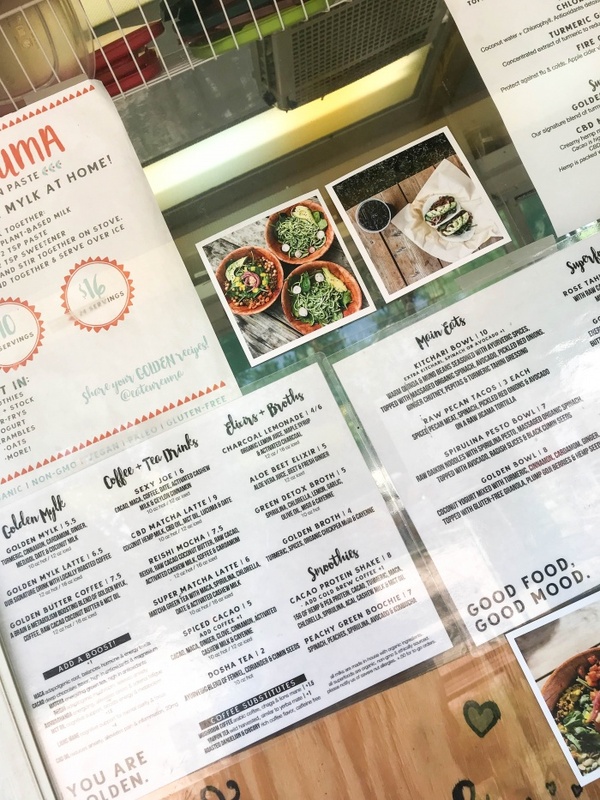 They don’t have a huge menu, but I was still torn between the raw pecan tacos on jicama tortillas and the spirulina pesto bowl. I ended up getting the spirulina pesto bowl, and I was not disappointed! If you like pesto pasta dishes, you’d love it. It was definitely very light though, which worked out because I had eaten a big meal right beforehand, but I wouldn’t have been able to get full from just that bowl if I was going there for a regular meal. They also had some delicious looking superfood desserts, which I didn’t try but would love to in the future. Next time I’m definitely trying the pecan tacos, though! I was also really impressed with their drink menu – it was so creative! Unfortunately all of the nut milks are sweetened (I think mostly with dates), so if you need to avoid sweetener, that can be hard. I ended up getting the spiced cacao with dandelion “coffee”, and it was incredible. Took everything in me not to get another, but I knew the cacao was going to hit me quickly! You can get it with water if you don’t want the sweetened milk, and it still will taste fine. 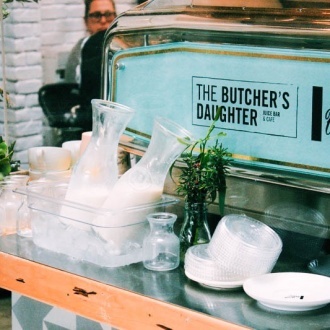 Their Reishi Mocha and CBD Matcha Latte also look divine – highly recommend this place. For dinner I went to 24 Diner with Dana and Kate. This place was on my list but wasn’t close to the top, so I probably wouldn’t have gone here if they hadn’t invited me, but I am so glad I did! This was the only restaurant I went to twice. It’s a diner that’s open 24 hours, and there’s something I just love about diner-vibes. They have an allergy-friendly menu and are very aware of anyone who is on Whole 30. If you communicate with your waiter, they will happily accommodate you! 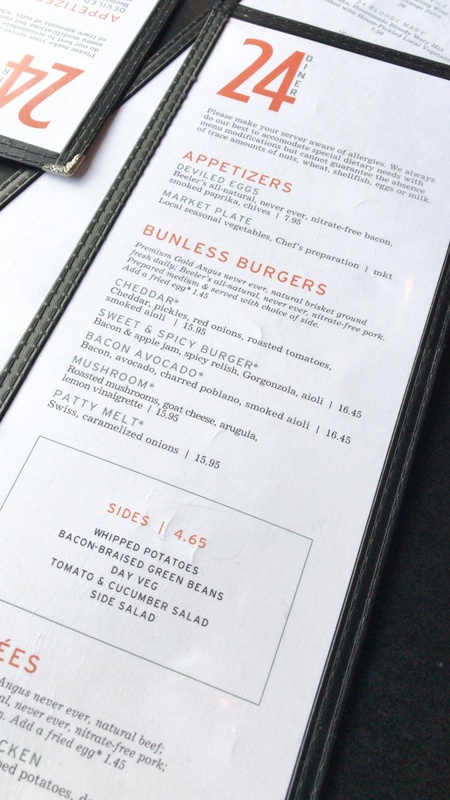 They serve breakfast all day, which was a big plus, but also had an incredible selection of burgers that could all be served bunless. I got the mushroom burger without the goat cheese and without the vinaigrette, and then added a side of the day veg and a side salad. I brought my own olive oil and vinegar, of course, but they will bring you olive oil and vinegar if you ask for it. I kid you not – this was by far one of the best burgers I have ever eaten. I ordered it both times I went here – the mushrooms were the best I’ve ever had (I need to figure out how they were cooked) and the burger itself was cooked to perfection. I highly recommend this place, and it’s great because it has healthier options as well as your typical diner-picks! 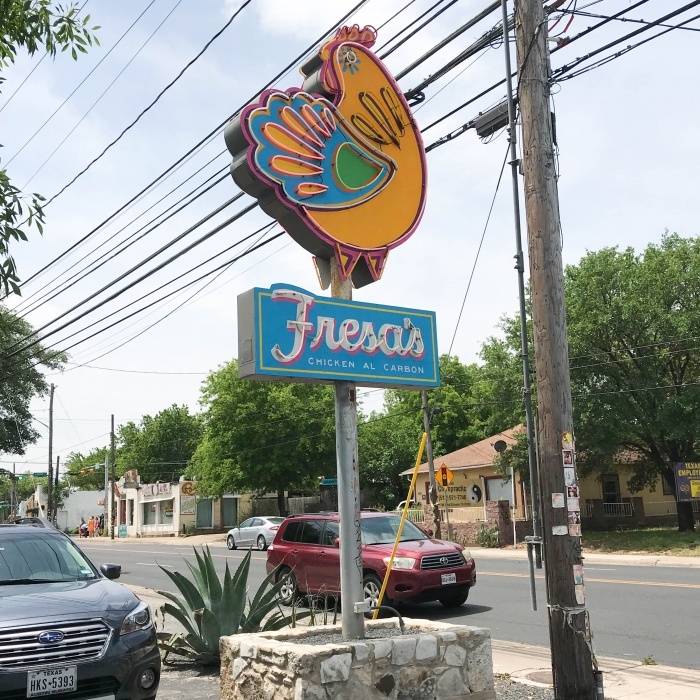 Later on we visited Fresa’s Chicken al Carbón, which we almost didn’t end up going to because the menu didn’t seem that exciting. We were a bit confused when everyone kept recommending it, and we also definitely judged it based on the look outside. For anyone going to Paleo f(x), this was walking distance from Palmer Events Center. The experience was totally different than I expected, though, and I highly recommend this place! Again, it’s a great option for both the health-conscious and anyone who just wants some good ole’ Mexican food. First of all, the ambiance was incredible. It was strange because it felt like an entirely different restaurant once you passed the outside wall. The back area is roomy with a ton of open, colorful seating and stringed fairy lights to create the perfect atmosphere. It was an adorable location and a great place to bring a large group! Almost everything on the menu is gluten-free, which is common at many Mexican restaurants, and the dairy is easy to spot, so you can just ask for that to be removed if you’re dairy-free. Almost everyone at our table got one of the “Bols”, but I opted for the chopped salad, which was basically like a Cobb. I also ended up getting a side of chicken, because my salad came out with one egg and about a tablespoon of bacon. Not enough protein for me. Anyways, it was a blessing in disguise because the chicken was some of the best chicken I’ve ever had! It was shredded but moist and flavorful. I’m not sure what seasonings they used, but it was delicious! And I’m not usually that impressed with chicken. Dana and I also split their wood-grilled cauliflower – you know I’m a sucker for cauliflower. This side dish was one of my favorite eats from the whole trip! The cauliflower was charred to perfection, and the dressing on top was seriously incredible. Dana and I couldn’t stop raving about this. If you go to Fresa’s, GET THIS CAULIFLOWER. Next up was Picnik, which was the one place I was most interested in trying because it’s relatively famous amongst the Paleo crowd. Everyone talks about Picnik and how delicious it is, so my hopes were incredibly high. One location is an actual restaurant with a full menu, while the other locations have limited menus. The main location is definitely very on-point when it comes to aesthetics. It made me feel like I was back in Los Angeles! Picnik is known for its drinks and bulletproof coffee, but I’m not a coffee person – plus it was dinnertime. That being said, the drink menu was incredibly enticing. 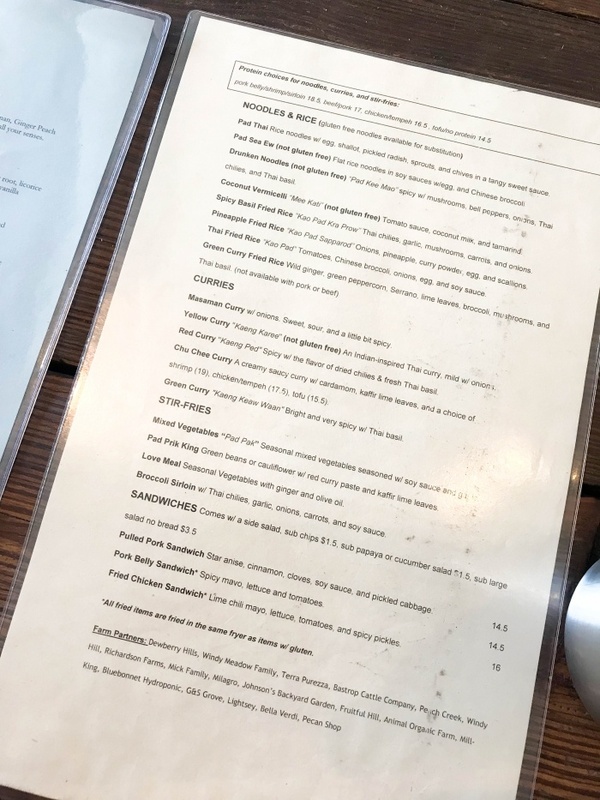 They have a “Special Menu” for dietary restrictions that I highly recommend you get if you’re like me and want to know everything that’s in your food. 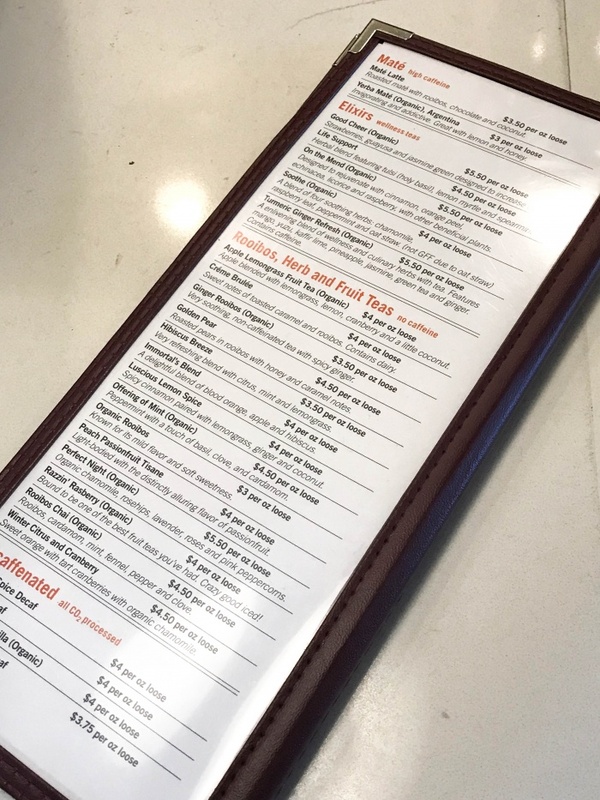 I was really impressed with this menu and loved how everything was so clearly labeled. 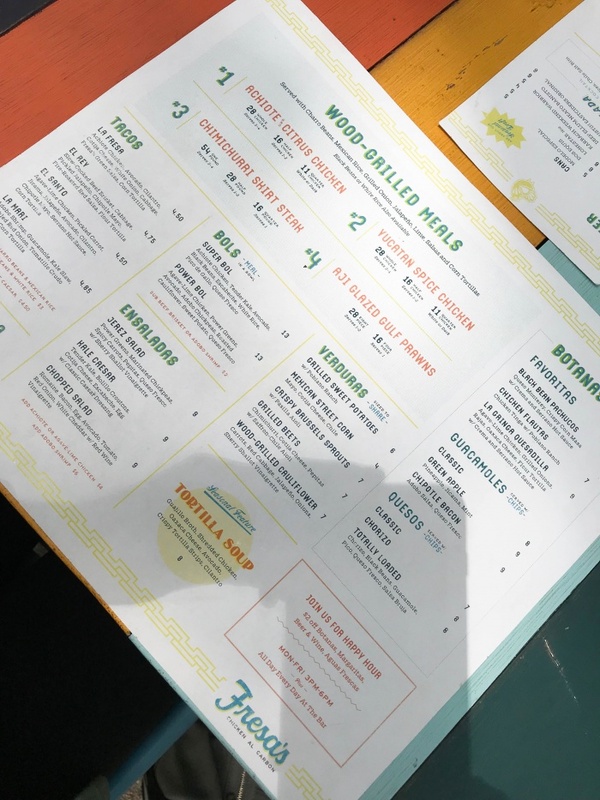 The special menu tells you exactly what substitutions to ask for depending on what your dietary needs are – gluten-free, egg-free, nightshade-free, sugar-free, etc. 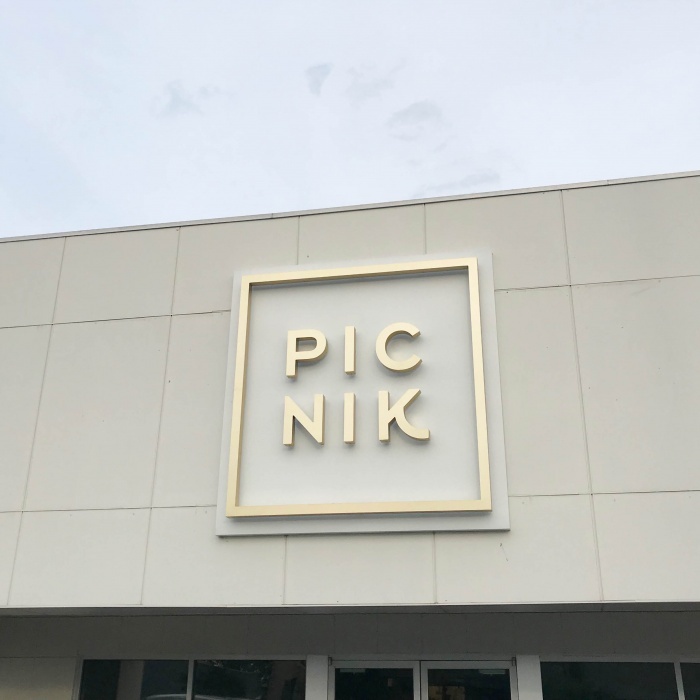 One thing about Picnik is that it’s definitely more starch-heavy than I’m used to at healthy restaurants, but I think it’s that way because they’re trying to appeal to the general masses. Tacos, waffles, chips and dip – this is how you make healthy eating more alluring to most people, who might not get excited by meat and veggies. 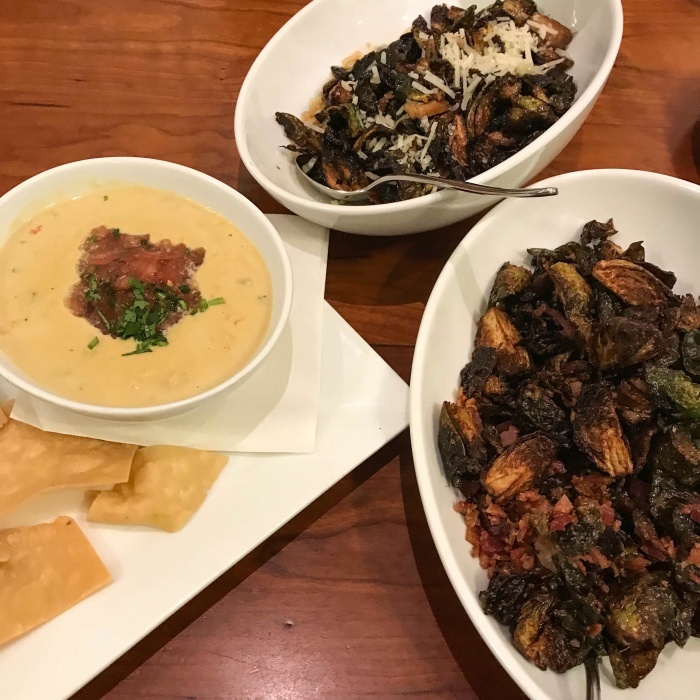 To start, we ordered the two different brussels sprouts appetizers – I got the allergy-friendly version with bacon, and Dana and Kate got the regular version with pork belly and cheese. The brussels sprouts were delicious – I highly recommend these if you love some crispy brussels! We also got the Creamy Queso (made from cashews) with almond flour tortilla chips. It had a little bit of a kick to it and really did taste like a cheese-sauce! For entrees, I ordered the shrimp stir fry, and Dana and Kate got the Orange Chicken. None of us were very impressed with our meals. Personally, I was really disappointed. I’m not one to ever NOT eat my food, so I obviously ate it, but I had to pour a lot of pink salt on top to make it palatable. There was really no flavor. I didn’t try Dana’s or Kate’s, but they didn’t really eat their meals because they were already pretty full, and the meals weren’t very good. Because of that, I wasn’t impressed with Picnik, but I would like to go back and try something else. To be honest, though, nothing on the menu excited me that much. The brussels sprouts were really good, but not any better than I’ve had before / could make myself. 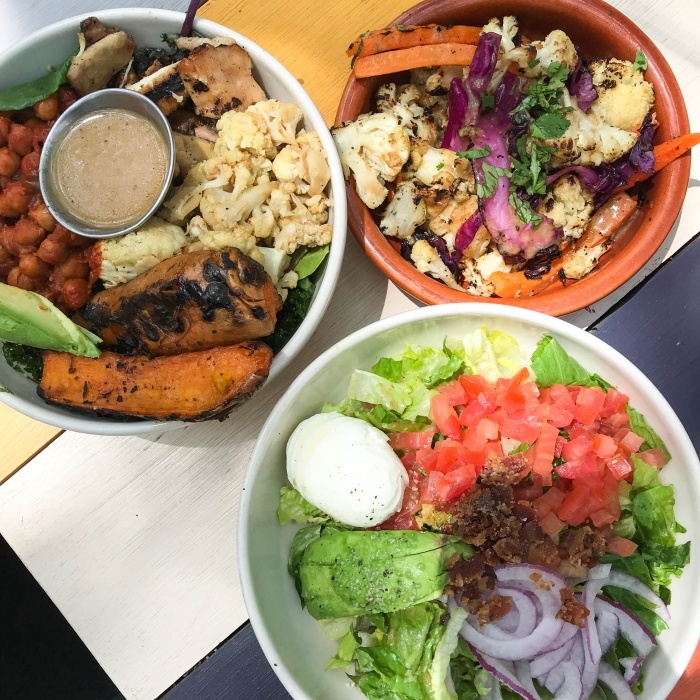 I also wonder if I am biased because I’m comparing it to places like Primal Kitchen, Hu Kitchen, and Erewhon, and the food really didn’t measure up. Maybe I went on the wrong night or ordered the wrong thing. Kate and Dana went for breakfast the following day and said it was amazing, so I’m wondering if the breakfast is more impressive. I’m not sure – my experience wasn’t the best. I have heard that their desserts are to die for, though, but sadly they’re not paleo. If you tolerate butter, the butter blondie is supposed to be incredible, and everyone says the ice cream sandwich is the best dessert ever! Next we went to Thai Fresh, which I was really excited about because it’s one of Kara’s favorite places. They have a ton of different curry options that all looked incredible, but I ended up going with the Love Meal stir fry topped with pork belly. The curries do contain coconut sugar, so keep that in mind if you can’t have sugar. However, I hear this is some of the best curry you can find! Almost everyone else got curry, and everyone loved their meals. My stir-fry was AMAZING, and the pork belly on top was truly to die for. It was cooked perfectly. If you love pork belly, you must get this! They also had a really great tea menu, so I recommend this place if you’re a tea lover. They also have vegan ice cream that everyone says is delicious, so I would love to try that next time! We also went to Wholly Cow Burgers, which was on the top of my list. I love a good burger! This is not the place to go if you’re after aesthetics or a fancy meal – it looks like a convenience store attached to a gas station. 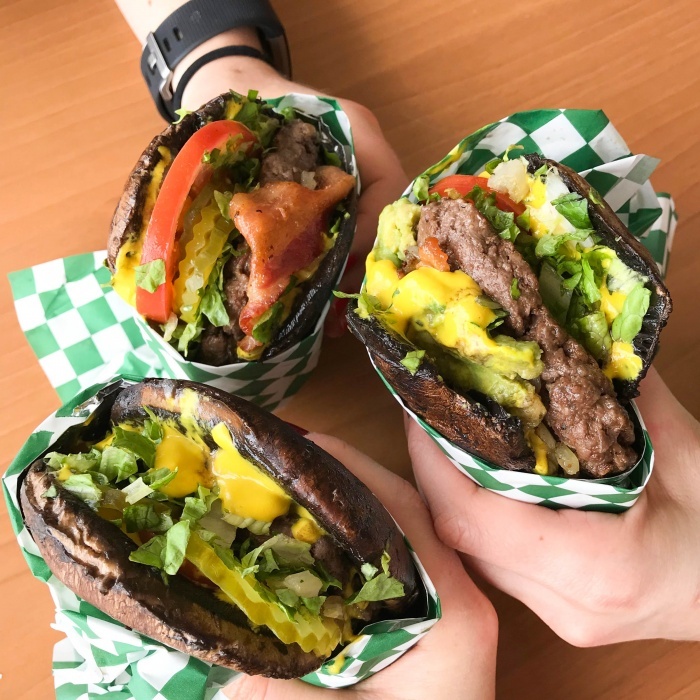 We all got the Fit Cross (Paleo burger), which is a grass-fed burger between two portobello mushroom caps with bacon, grilled onion, lettuce, tomato, pickles, and mustard. You can also add other toppings to your burger, like a fried egg! Since I feel incomplete without extra veggies, I asked for a side of sautéed yellow squash and zucchini. I was in HEAVEN. Definitely the spot to go if you want a good burger, and they have a ton of options for regular burgers, of course, as well. 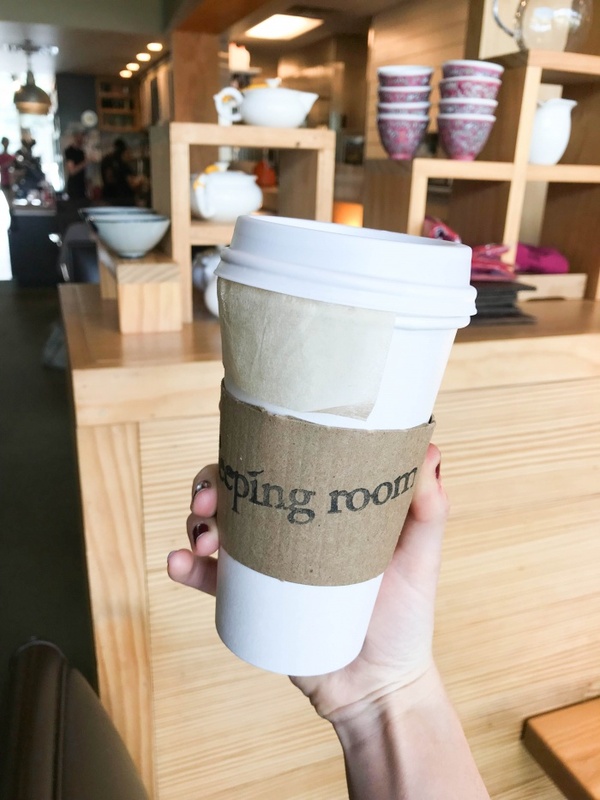 One place I had to squeeze in before leaving was The Steeping Room. 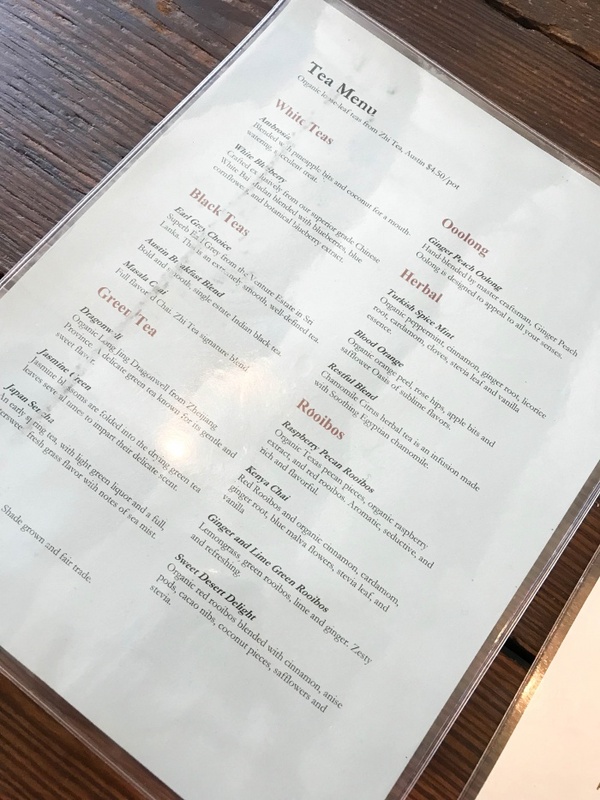 They have an incredible tea menu (multiple pages), and it was very difficult for me to pick just one tea to try! I ended up going with the Luscious Lemon Spice, which had cinnamon, lemongrass, ginger, and coconut. I would definitely get it again. We had to get our teas to-go because we were short on time, but next time I want to sit down and have full tea service with a teapot and teacups. It’s all about the experience. I actually would have also loved to eat here – the cashew caesar salad and daily special, which was a curry, looked delicious – but we didn’t have a chance to fit that in. It seemed like a great place to bring pretty much anyone – they had options for all types of eaters, and it was semi-casual. 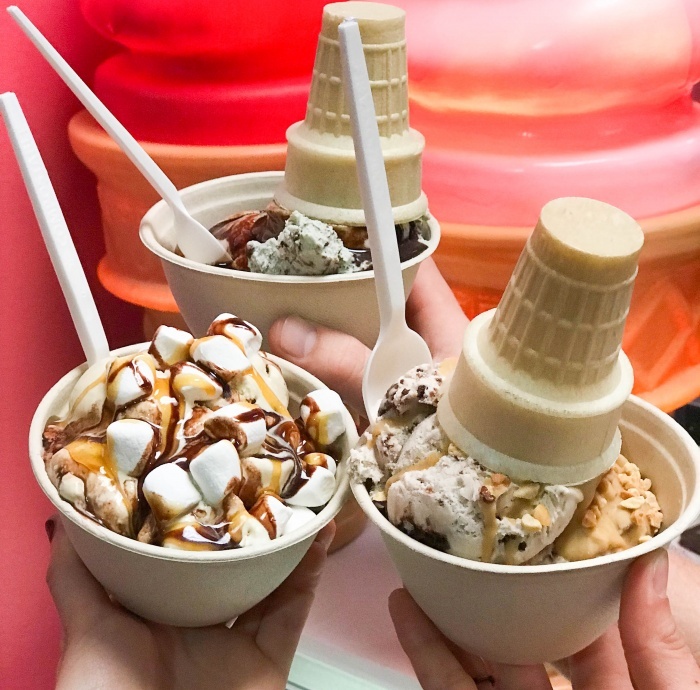 To end the trip, we visited Sweet Ritual for dairy-free ice cream! This ice cream was OUT OF THIS WORLD. Very allergy-friendly, although not the best ingredients. But that’s expected if you want dairy-free ice cream that tastes like the real thing. You can look on their website for the exact ingredients – things are labeled very clearly. In the shop, everything is labeled with a star if it’s gluten-free or not. I got the Salted Caramel and Cookies and Cream topped with caramel sauce, chocolate sauce, and marshmallows. I haven’t had marshmallows in FOREVER, and I was in heaven. They also have gluten-free cones! This ice cream was thick and creamy, and it was a really popular spot. I loved that they had so many unique flavors that you don’t typically find – “Unicorn Poop”, Mexican vanilla, Chocolate Olive Oil, Rocky Road, Peanut Butter Cup, and more. I recommend taste-testing them all, just for good measure. Overall, I was really impressed! Besides those restaurants, I also spent quite a bit of time at Whole Foods! Whole Foods started in Austin, so I definitely recommend checking out the flagship location. The hot food bar is great, and there are a bunch of mini “restaurants” inside as well, like a sushi bar and regular bar. They also have an entire rooftop area that’s incredible! It’s a great place to grab a healthy meal or pick food up for on-the-go. Also, I grabbed a few things from Snap Kitchen. 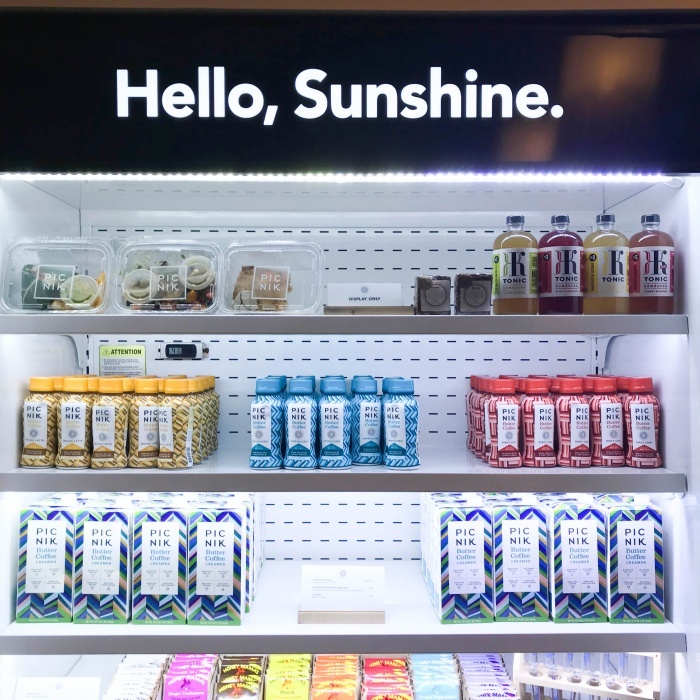 I always look for Snap Kitchens when I’m traveling because they have healthy, pre-made meals that are especially great for plane rides or staying in hotel rooms if you can’t cook. Everything is labeled gluten-free, paleo, Whole 30, and so on. You can get whole meals or just pieces, like just the protein or just some sides. Like I said – the perfect travel option, and a great thing to pick up for quick breakfasts! Tacodeli – I was dying to get some tacos from here! They’re served on corn tortillas, but you can also get your tacos in a cup. I also love that they have a build-your-own option, and they also have salads. I’m definitely going here next time I visit ATX! 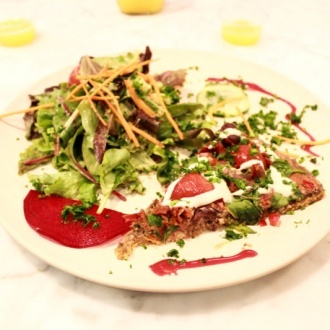 Vinaigrette – A salad bistro with high-quality ingredients! If you love a good salad, this might be right up your alley. 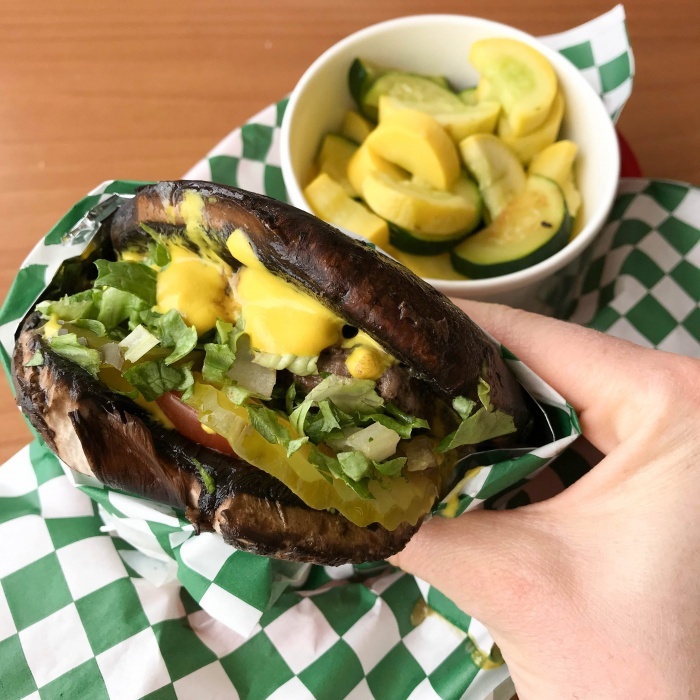 Honest Mary’s – They have plenty of vegan and vegetarian options, and a build-your-own-bowl section of the menu! You can also order online. Salty Sow – Had a lot of recommendations for this place – the place to go if you want some delicious Texas MEAT!! Mad Greens – Another salad place with a ton of options. Searsucker – On the pricier end, but a great place to go for anyone looking for a hearty meal. I hear they are very accommodating to allergies if you let them know ahead of time! 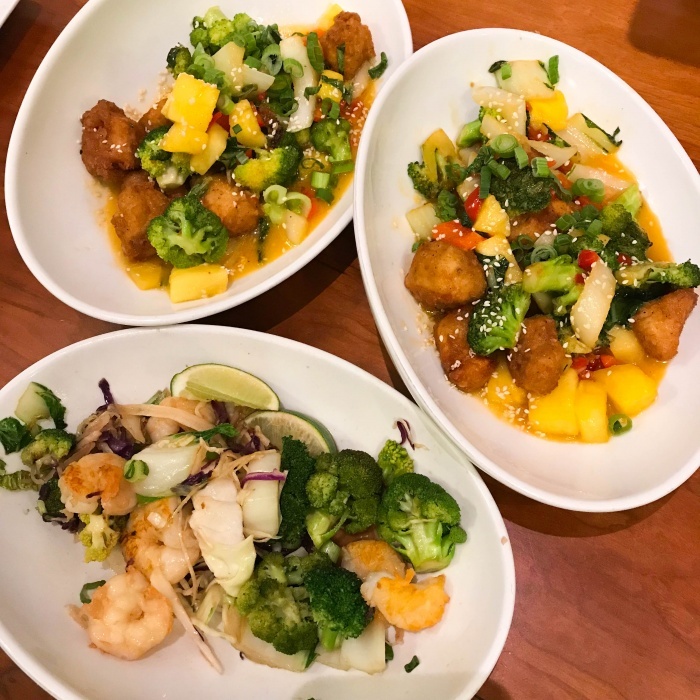 Koriente – Asian-inspired dishes with a gluten-free menu available. Most of their sauces have soy, so keep that in mind if you are allergic to soy. Sway – More Thai food, and they are really helpful with labeling what is gluten-free and vegan. Dai Due – restaurant with a built-in butcher shop that cooks in high-quality oils. Great for meat-lovers! Again, I hear they are accommodating about food allergies if you let them know. Austin Java – I think this was close to Paleo f(x), and it looked they had a lot of good breakfast options. I’ll go anywhere I can build my own omelette. Didn’t seem too special, but a great place to know about if you want an easy breakfast spot. Salt & Time – Farm-to-table dining, locally-raised produce with high-quality meats! 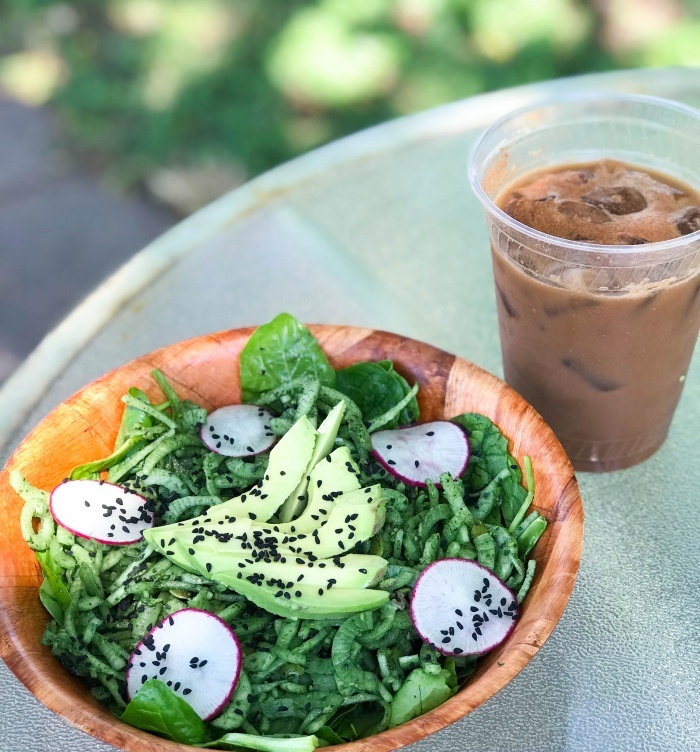 Josephine of Austin – A bit more expensive, but an adorable place to go for breakfast / brunch / lunch, and very Instagram-friendly. Again, plenty of options for all kinds of eaters. Launderette – Plenty of options for all types of eaters, and a bit on the pricier side! Great place for a nice sit-down meal. 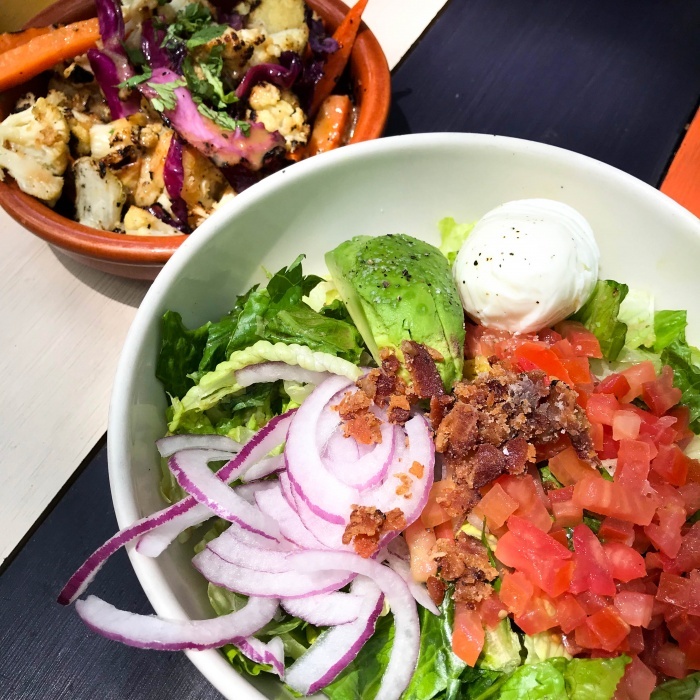 True Food Kitchen and Flower Child – These are both in L.A., so I wasn’t really going to go here, but they’re always in the back of my mind as options if I’m in a pinch and need a healthy restaurant when nothing else is nearby. 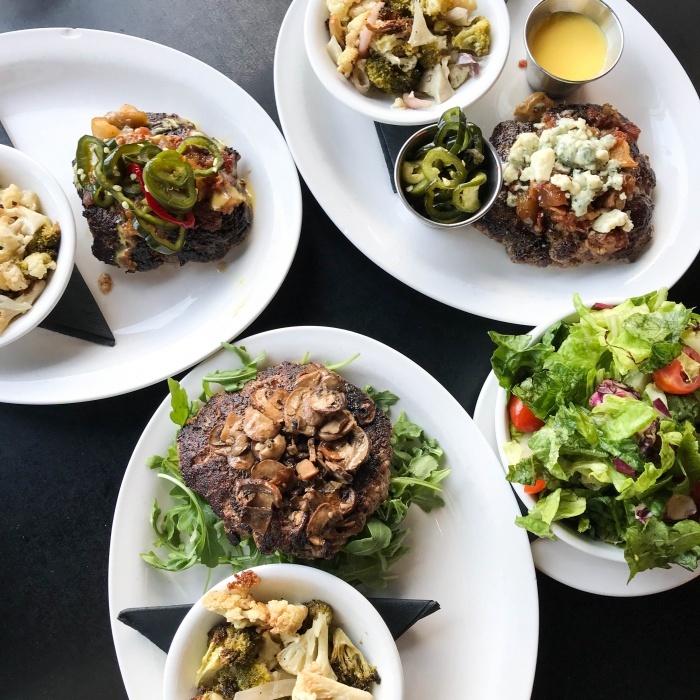 Plenty of options for everyone – paleo, vegan, vegetarian, and so on, and a great place if you’re looking for veggies and salads. However, they’re chains and not super exciting, so I always prioritize places that are unique to the city I’m visiting. Hopefully this guide helped! Next time I go to Austin, I will definitely try a few places I didn’t get to. For anyone who isn’t gluten-free, I’d definitely check out the barbecue in Texas. And if you know of any great gluten-free-friendly barbecue spots, I would LOVE your suggestions!